SmartDOT is the core of this essential toolkit. It is programmed to harmonise EMFs from the electronic equipment you use regularly. Is electro-pollution frazzling your day? Electricity, modern technology and the explosion in wireless communication has significantly changed the environment we live in. The background levels of electromagnetic radiation (EMR) on our planet has increased millions of times compared to the levels our grandparents experienced. In the longer-term, there is the potential for serious disease to develop. The effects of EMF exposure are cumulative and precautions can be taken now. Fix an SmartDOT to your mobile phone, computer, TV, microwave oven, cordless phone, Wifi devise, or any electronic equipment that you feel discomfort in using or you feel contributes to your experience of symptoms of electro-stress. Some people are more resistant to airborne pollution and diseases than others, and the same can be said of sensitivity to electro-pollution. Electro-sensitive people experience the effects of EMF exposure as a whole list of unwelcome symptoms commonly referred to as electrostress. Many people have no awareness of physical symptoms at all, though experts tell us, that long-term exposure that doesn't lead to immediate symptoms can still result in increasing side effects that may ultimately cause serious disease. Everyone is affected by electro-pollution, but some people are more sensitive, less resilient and therefore more vulnerable to health problems associated with exposure to EMFs. Listening to the subtle signals from your body, your 'gut feel', is your early warning system, designed to help you respond when something doesn't feel right and take steps to look after yourself. You can check your lifestyle to see how your daily exposure to EMFs can be minimised. Where you must use or carry electronic equipment routinely, attach an SmartDOT to harmonise the emissions so that you can benefit from its revitalising effects. 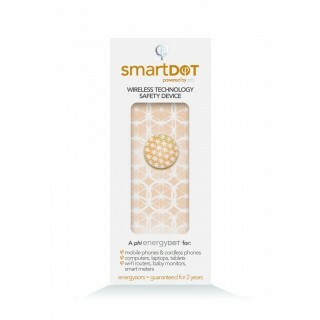 Peel off the backing paper and fix the SmartDOT to the outer casing of your mobile phone or other equipment. It can also be placed discretely in the battery compartment of your phone or inside the casing of other equipment. The handset of a telephone may emit a surprisingly high amount of EMFs -- dect cordless phones (including the base unit) in particular, and, of course mobile phones. Since you hold the phone next to your head, and carry a mobile close to your body, it is vital that the emissions are harmonised. Everyone who shares your home or office will benefit from harmonising the emissions from your everyday electronic equipment. Put an SmartDOT on your computer screen to clear your head of electro-confusion. An SmartDOT on your TV will help you really relax without the subliminal tension of electro-stress. If your children enjoy computer games, it's a good idea to put an SmartDot on the controller. Electric clocks emit a magnetic field as much as 5 to 10 mG (milliGaus) up to three feet away. If you have a bedside clock, you may be exposing yourself to the EMF equivalent of an electric power line. It may be wise to place an SmartDOT on clocks and other electrical devices such as phones and move them away from where you sleep. Electric razors, hair dryers and power tools may emit EMFs as high as 200 to 400 mG. This may seem like a really large amount, but your exposure to these devices is probably not continuous for long periods of time. If you use of this type of equipment for long periods, or your electro-sensitivity requires, an SmartDOT is recommended. Fluorescent lights produce a higher level of EMFs than incandescent bulbs. If you have to work near fluorescent lighting it can make a considerable difference to your experience to fix an SmartDOT at the power source end of the fluorescent tube. Microwave ovens emit ELF and microwave radiation. Microwave leakage is a serious issue with set legal limits on the leakage permitted by a microwave maker. Since microwave radiation has been known to cause many issues, it's important not to stand close to a microwave in operation. Fixing an SmartDOT to your microwave oven is a safeguard we recommend if you use this form of cooking. Place an SmartDOT on the control switches if you use an electric blanket. It's all about energy. Whatever your pace of life you need energy to be at your best. A busy life and the effects of modern technology can occasionally leave us feeling low. What would you value most? SmartDOTs are ideal for anyone answering 'yes' to any of the above -- and countless SmartDOT users already enjoy the benefits. SmartDOT magnetic discs are programmed with naturally inspired frequencies. They are supercharged with subtle energy to strengthen and support your natural flow of vital energy. Different DOTs have different roles. 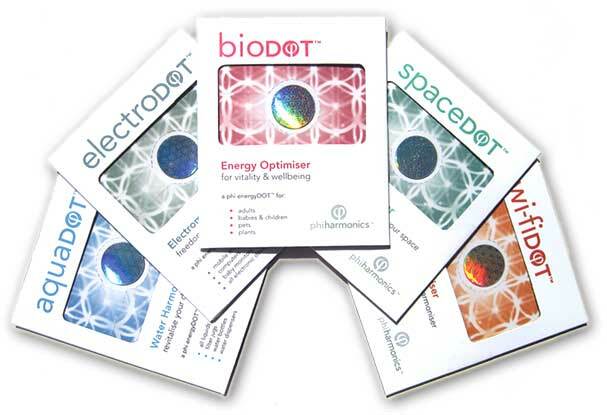 Wear a bioDOT under your watch, stick an SMartDOT on your electronic equipment, or put an aquaDOT on your water filter. 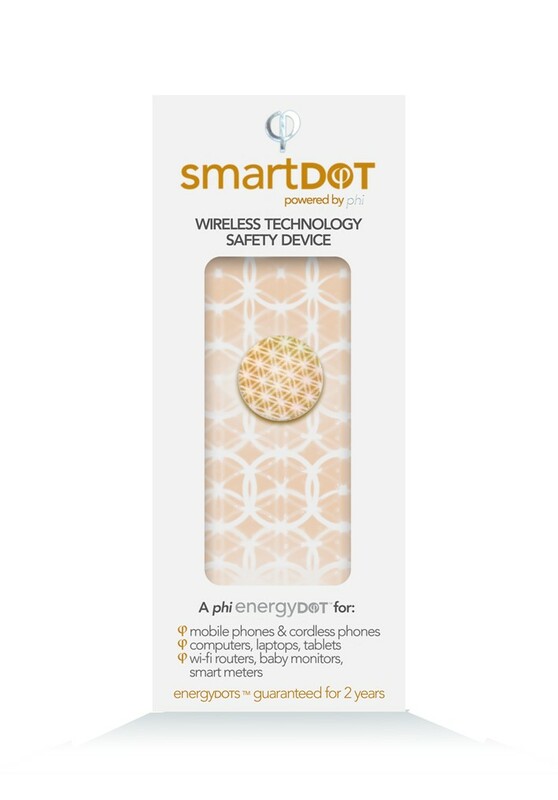 SmartDOTs are designed to revive your energy and can help relieve the side effects of exposure to the technology we all enjoy. Electromagnetic fields (EMFs) from mobiles phones, cordless phones, computers, TVs and everyday electronic equipment can interfere with the essential electrical communication between cells in our bodies. 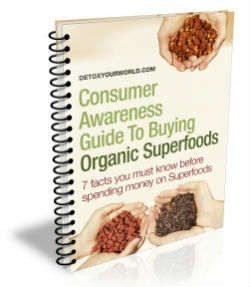 Daily exposure to EMFs has an impact on our vitality, energy and health. You can use SmartDOTs to clean up man-made electro-pollution as well as strengthening and balancing your own energy field. Tests have shown significant benefits from using SmartDOTs. Clinical studies around the planet have linked high levels of environmental RFRs to health problems. There is a latency period for most diseases and it may take years and more studies before the required weight of evidence is established. The effects are cumulative and precautions should be taken now. You can take action now to minimise the impact of EMFs on your health. Maximise your immune system. The stronger and clearer your physical systems, the more resistance you will have to environmental stressors. This can be achieved by the regular intake of good quality antioxidants, fresh organic foods and drinking plenty of pure water. Find the healthy lifestyle which best suits you to include the fresh air, exercise, relaxation and quality personal time necessary to de-stress and build up your natural energy resources. A strong energy field is your best protection against environmental electro-pollution. Minimise your use of wireless communications systems and exposure to electromagnetic fields from computers, microwave ovens, TVs etc. wherever you can. Limit mobile phone use to essential calls and keep calls short. Even a two-minute call has been found to alter the natural electrical activity of the brain for up to an hour afterwards. Take regular breaks throughout the day from close proximity to electronic equipment. Never carry your mobile phone next to your body or sit at your computer all day. Don't put your mobile phone in your pocket or belt while in use or while it is on. The body tissue in the lower body area has good conductivity and absorbs radiation more quickly than the head. Promote peaceful sleep by clearing your sleeping space of electronic equipment. Never sleep beside your mobile phone or charge it next to your bed. Move all electronic devices at least six feet from your bed. Choose wisely for your children. Young developing cells are particularly vulnerable to disturbance from EMFs. Keep exposure to a minimum during pregnancy, for babies and toddlers. Encourage children to enjoy non-electronic activities. The UK government recommends that children under 16 years use mobile phones in emergencies only. Use a scientifically validated EMF protection device. Advanced technologies are available to strengthen your bio-energy field and immune system against the effects of EMFs and naturalise emissions from electronic equipment. EMF radiation causes a problem when the cumulative effects, due to repeated exposure, weaken the body's ability to repair itself. 'Second-hand' radiation and EMFs from other people's devices can also cause biological stress, so these types of biofield protection devices are becoming increasingly essential. Seek professional advice from a qualified doctor or health professional if you experience symptoms you believe relate to electro-pollution or electro-stress. Note: this list is far from exhaustive. It should be referred to as educational and representing a number of interventions you can practice immediately to protect yourself and your family from the effects of environmental electro-pollution.